I have a rather cheeky friend who knows just how to get me going. So the other day I arrived at my desk to find this residing in front of my monitor. 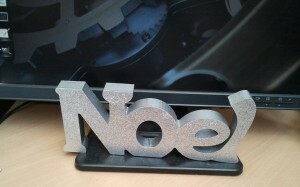 Noel, since it is missing it's diaeresis a rant was assured. Like waving a red rag in front of a bull she knew this would unleash a mix of laughter interspersed with lengthy rants about how once again the silly season had encouraged diaeresis abuse. What does one do with this ornate decoration that in it’s current state was more suited as a name plate for a guy with the name Noel. Well a few pieces of dowel, red paint and a hot glue gun were the solution. 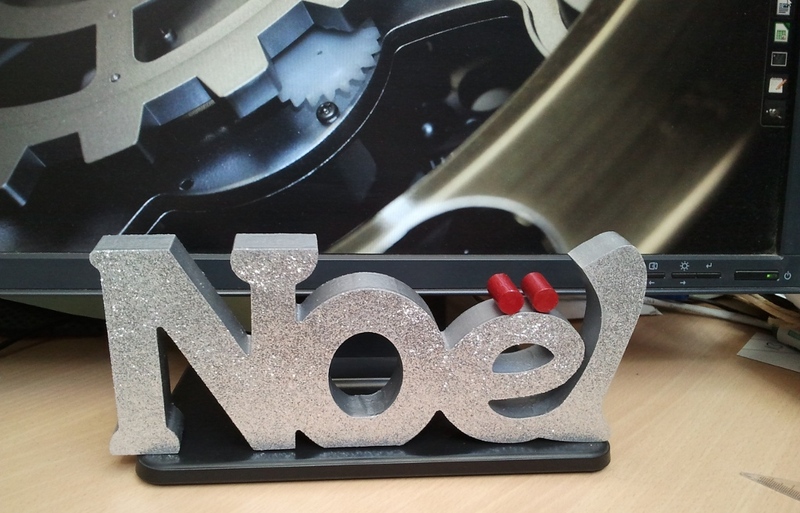 Now what was an ornament to the poor spelling of the Xmas season, is now a true representation for Noël with the diaeresis in red. Red because red is a cool colour, it is loosely associated with the fat dude that delivers gifts and finally cause it looks like a correction I have added in red pen to an incorrectly spelled word. I loved the gift for the cheeky intentions, and cause it made me laugh. Now I love it more because it now highlights, in red, the pivotally important diaeresis. Rudd vs Gillard – Who would have thought… well anyone really. Self Serve registers – No way!